Google is testing a new Inbox search UI, may be first indication of "virtual assistant"
Another day, another A/B test has come our way at Android Police. 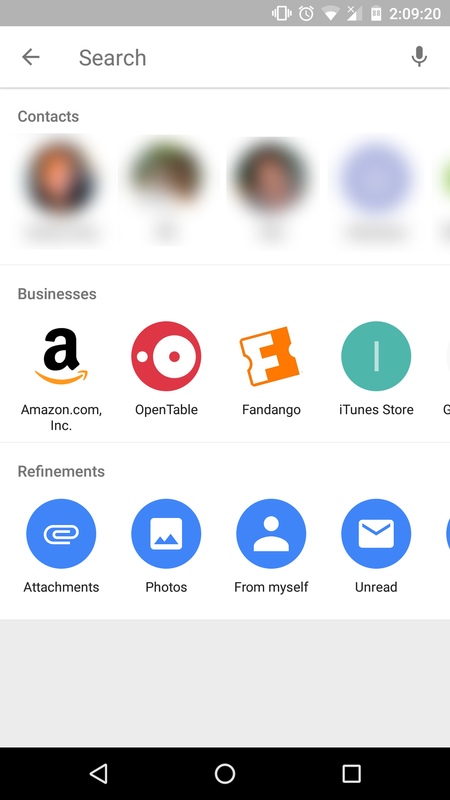 This time, Google is testing out a new Inbox search UI, replacing the dropdown search menu that's been ever-present since Inbox launched. 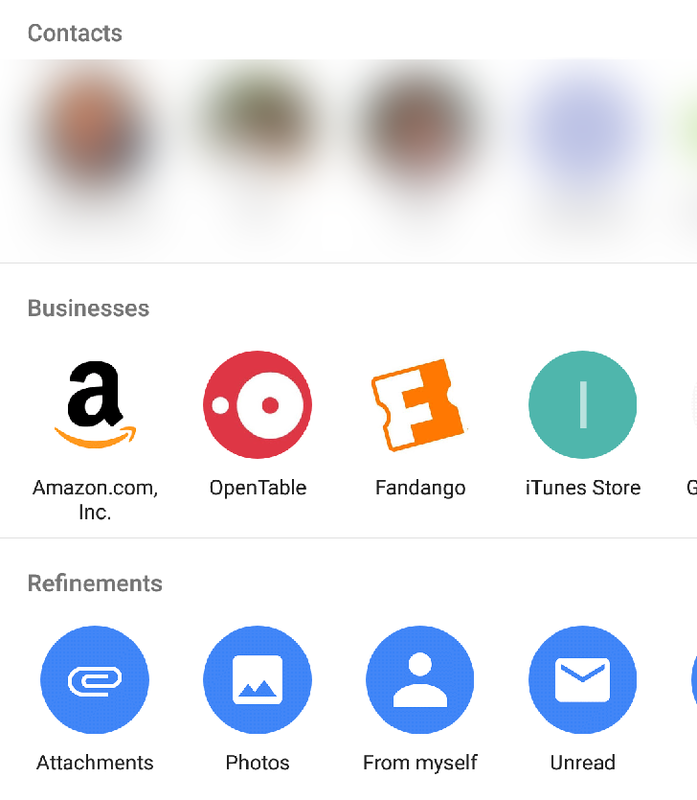 The UI shows three categories: contacts, businesses, and refinements. Contacts and businesses show people or companies that you regularly contact, while refinements highlights other options you may be likely to search for, such as 'sent emails from last week,' or 'attachments.' These are side-scrolling, with what looks like six options in each row, although it could be more. It's possible this is the first indication of the "Assistant" feature Cody unearthed in a recent teardown, but we can't really be sure. 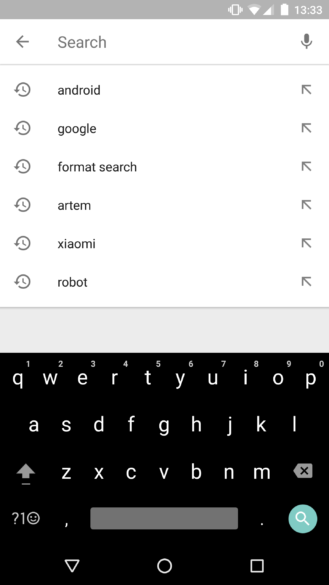 Left: the old Inbox search UI, a simple menu dropdown showing recent searches. Right: the new search UI. Since nobody on the AP team is seeing this, and the tips we've been getting have been slow and steady, this would appear to be a server-side test. We'll let you know when this is rolled out to a wider user base; in the meantime, if you want the latest Inbox apk, we have it over at APK Mirror.